As a symbolic wedding officiant in Riviera Maya, Mexico, I decided to start a blog in order to help the brides to have a unique and special lifetime memory. I understand after looking at the forums that it might seem a bit difficult at the beginning, but having a destination wedding in the Mexican Caribbean (Cancun, Playa del Carmen, Tulum and surroundings) is the best decision you will ever make. I hope this blog helps all of you to clear your minds and give a little peace. Picking the right dress is very important, and you should also consider the heat and humidity of the Mexican Caribbean, so the thicker it is, the hotter will get while you’re on your ceremony. Nowadays there are stunning dresses that are friends with being comfortable… make sure that is not only the look that you love but also the feel that you love. Riviera Maya is usually very windy, therefore avoid long veils as they can get in the way while you walk down the aisle and during the ceremony. 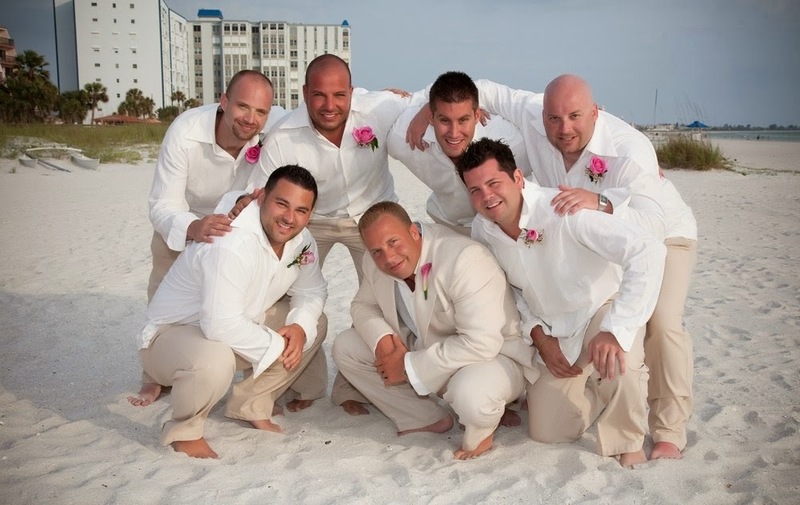 Avoid vests PLUS jackets for the groom, once again you’re in the Mexican Caribbean and to be honest, avoid Jackets and vests at ALL… he can have a nice handkerchief to brighten his outfit as well as the boutonniere. For man, I recommend a “Guayabera” which is a formal shirt made 100% cotton that helps the skin to “breathe” combined with light color trousers and leather sandals or barefoot. They usually come in white or cream color but nowadays you can find other colors too. Avoid dark suits for the groom; you do not want the photos of your wedding to look like if he was in a sauna!! Avoid vests PLUS jackets for the groomsmen as well, Guayabera is your best option. Avoid dark suits for the groomsmen; same advise as before… sauna weddings are not fun. 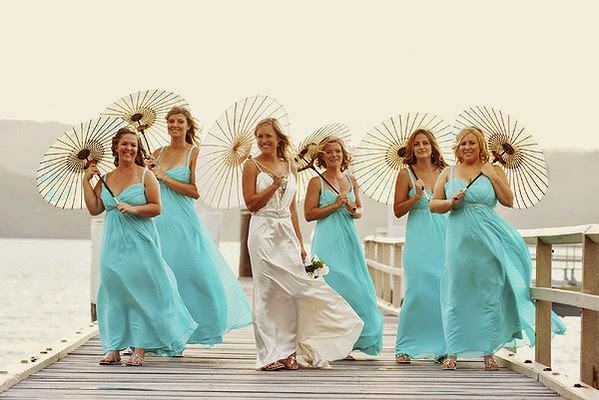 Bridesmaids can choose any color! You can go as wild as you want but ensure once again they don’t have heels, nowadays they sell some feet embroidery decor which looks elegant and stunning. Advise your guests beforehand about the humidity and heat so they go for light colors, short sleeves for men and summery dresses for women. Advise all the lady guests that will probably be very windy, therefore they need to look on the dress material, cut and lenght. You can also advise older ladies to bring a sun umbrella as they will be sitting in the sun for at least 30 minutes.